Jesse, Jordan and Dave at 12:30 in the morning after eight straight hours of podcasting. I think we look pretty good. Last night, the MaxFunMarathon cut off for some folks as we entered the final hour. I got up today and edited it for you, because I'd hate for folks to miss it. 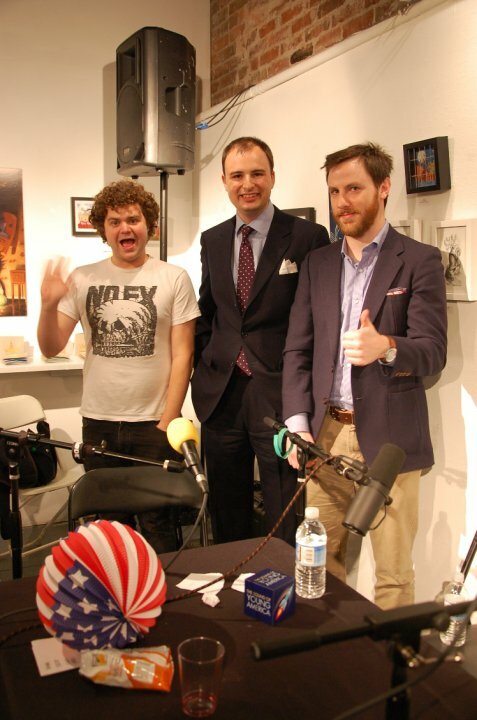 We'll be setting up some kind of something so donors can download an audio version of the full show with a few weeks. 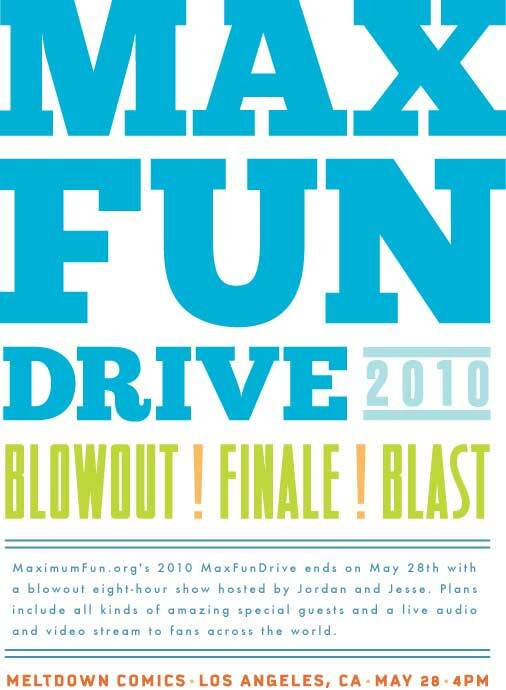 There are 50 reservations available for the MaxFunMarathon, 4PM-midnight on May 28th. We will also be accepting walk-ins (the space can fit more than 50), but these reservations are your only perfect guarantee of entry. Tickets are $5, payable at the door. Make your reservations now.